Arrived today the 2012 latest issue of Endangered birds with the Bird Life logo from Indonesia. 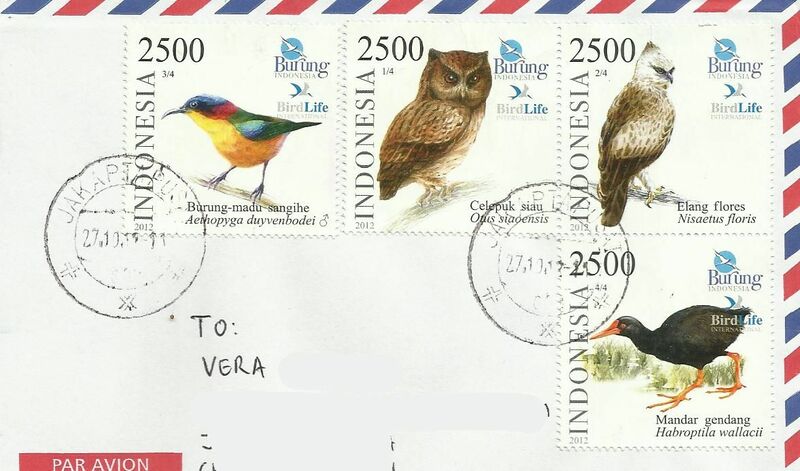 Attractive stamps with minimal background , so the bird is clearly seen and identified. Cancelled at Jakapos office, each stamp has the same value of 2500r.